Podcast listenership has been steadily increasing in recent years, and some are even predicting that we’re on the verge of a podcasting explosion. With that being said, it’s pretty likely you’ll get tasked with creating an iTunes podcast feed. Luckily, it’s quite simple to create one on your Drupal site with Views. Create a new folder in your libraries folder like so: sites/all/libraries/getid3. Go to http://www.getid3.org/ and download the appropriate version based on your web server’s PHP version. Make sure write.php is in sites/all/libraries/getid3/getid3. 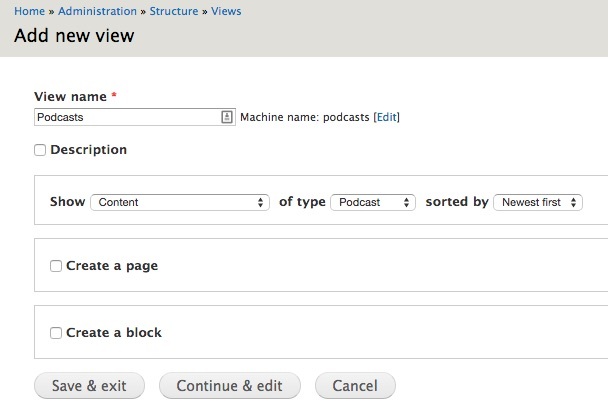 Your content type should have fields that can be mapped to the recommended iTunes RSS tags. Apple kindly provided a very helpful graphic for this. If you already have a content type that has an audio file field, you can skip this. Otherwise, when creating the new file field, make sure you change the allowed file extensions accordingly. iTunes accepts m4a, mp3, mov, mp4, m4v, pdf, epub. For this example, I’ll be recreating the sample feed from the Making a Podcast guide by Apple. Create a new view for your content type. Add a feed view display. Specify the file name of your feed file, podcast.rss is a good option. 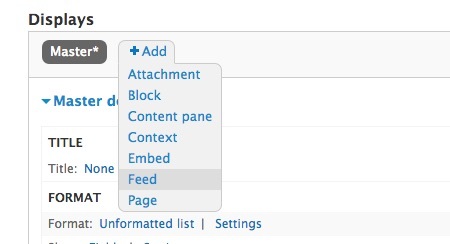 Under Format, select RSS Feed - Fields as the format. The Views add-on for iTunes elements provides fields for all the available tags, and you can decide which ones you want to use. The module also helpfully points out which ones are required by Apple. For now, just click Apply on the Settings interface because we need to add the necessary fields first. There are quite a number of fields to add and I’ll go through each one as some of them need tweaking to ensure the feed will validate properly. For all the fields, uncheck Create a label. This field is present by default. Ensure that Link this field to the original piece of content is unchecked. a tags are not allowed in the title field. Add the Content: Body field and set the format to trimmed. Adjust the trim length as required. Under Rewrite results, ensure Strip HTML tags is checked. HTML tags are not allowed in the <itunes:subtitle> or <itunes:summary> fields. 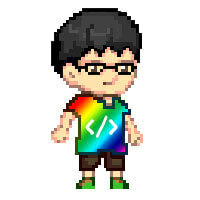 Add the Content: Path field and under Rewrite results, ensure Use absolute link (begins with “http://”) is checked. The link field must contain full URLs. Before you add the field, you need to add a RFC-822 date format to your site. Go to /admin/config/regional/date-time/formats and adding the Format string: D, d M Y H:i:s O. Then, go to /admin/config/regional/date-time and add a date type using this new format. Add the Content: Post date field and set the Date format to the RFC 822 format you just created. The pubDate field must be in the RFC 822 format. The next three fields are duplicates, just formatted differently. Add the Content: Audio field and set the Formatter to RSS <enclosure> element. I strongly suggest changing the Administrative title (under More) to something like Content: Audio (enclosure) for easier identification. Add another Content: Audio field and set the Formatter to RSS <itunes:duration> element. Change the Administrative title (under More) to something like Content: Audio (duration) for easier identification. Add another Content: Audio field and set the Formatter to URL to file. Change the Administrative title (under More) to something like Content: Audio (guid) for easier identification. Under Format, click on Settings. This is where you map your fields to their respective tags. If you scroll down to the Preview panel, you should see a nice XML file ready to be sent over to iTunes. But before that, we need to make sure our feed passes validation. There are a couple ways you can do this. I exported my podcast.rss file and hosted it on my GitHub account, but you can host it anywhere you want. If you have a staging site to deploy to for testing, even better. Go to Cast Feed Validator and enter the URL to your feed file. Note that if you exported your podcast.rss file from local development, and your site domain isn’t a legit domain (I use .dev on my local), your feed will not validate. But this can be ignored because once you deploy to an actual site, this issue will be resolved. I’m not too sure if this is a localised issue or not, so I’m just adding on what I did to resolve the AJAX issues I encountered. And that’s pretty much it. Your feed should be ready for submission to the iTunes store. I suggest using the Making a Podcast documentation as a checklist just to ensure everything is in order. Happy podcasting!